Editor’s Note: The podcast episode with Fireships will be dropping tomorrow. It’s a week later than initially anticipated, but it’s coming! Check it out in order to get a chance to win a copy of this album! Yes. You. And you. And you. All of you. I’m Blaine. I’m new here. This is my little corner of The Farsighted. I figured I should introduce myself. I’m a poet. I’ll give you a minute to stop laughing. When I write for the internet, I generally like to take a second to let you know what you should expect. I read a lot of Stephen King, I get it from him. Anyway, as a writer, who also enjoys a lot of different types of music, I tend to focus a lot on the lyrics. So you’ll get some detailed analysis there. I also like to search for themes. So we’ll talk about them. But I do also like bands that do interesting things musically, so I’ll usually talk about that, too. I also like to connect bands in my head. So, at the end, I’ll probably list some bands that I’m reminded of. That might give you an idea of whether you’ll like this album or not. It might give you some new music to check out. Or maybe not. The world is often a sad place. Full of longing. Full of our failed attempts to conceive of other people as human beings as complex as ourselves. Full of those beautiful moments that end despite our best efforts to stop them. This isn’t a new observation. In fact, it is one of the oldest. How do we carry on in the face of such sadness? Hope is one of the most powerful tools at our disposal. 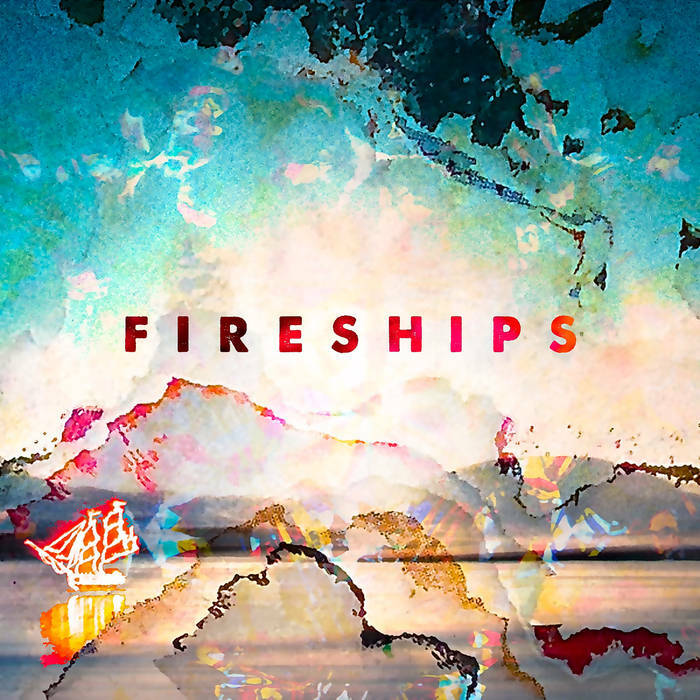 New York City’s Fireships debut self-titled album delivers sadness, longing, and hardship in all its fullness. From the first line. The real pride, the big pride, is having no pride. “All We Got” opens the album with all pride gone. We are already at rock bottom. 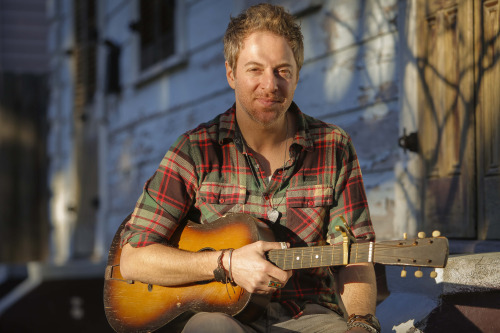 Later, in the same song, Andrew Vladeck (NYC Indie Rock Vet and founder of The Honey Brothers), sings “demons take their best shot to shatter your hopeful thoughts […] in love and war it’s all the same, send a proud soul to their knees.” Thirty-seven seconds into the album and we are already at war with our demons. And it looks like they are winning. The real game, the big game, is playing no games. So let truth reign, quit messing about. All we got. Give it all we got. There is a voice of truth in all these songs. and of defeat (“Living the Dream” compares the New York Skyline to “a mount of broken stars, a pile of dusty sparks, a stack of glowing coals, a thousand shattered disco balls”). But through all of that, there is hope. A desire to fight. I quit my job, and I’m on the lam, I’m a burning man on 95 and I’m heading south, like a punch in the mouth. I’m going down. I’m going way down. But I’m going down fighting. Things don’t always wrap up happy. But that is the truth. Through all the tracks on this album, there isn’t any quit in the characters we meet. They are giving it all they have. They are going down fighting. They are coming back for more. Musically, Fireships is doing some really interesting things. The official description of the band is a melding of “indie-folk and Americana with some West African influences.” I bring up their description because it is one of the most accurate I’ve read from a band’s press kit. There are steel guitars bumping up against synthesizers. There are dreamy electric guitar riffs colliding with strong African drum syncopation. There are acoustic guitars twanging over highly danceable bass lines. Underlying all of this is an ear for classic pop craftsmanship. Other albums that sprung to mind while I was listening to the self-titled from Fireships: Go-Go Boots by Drive-By Truckers, In Loving Memory of Oosi Lockjaw by Hezekiah Jones, Graceland by Paul Simon, Be The Void by Dr. Dog. Blaine C. Martin is a poet living in the Philadelphia area. He has a BA in English and Philosophy from DeSales University and his MFA in Creative Writing from Carlow University. Blaine's poems have appeared in Apiary, Words Apart, Shaking Like a Mountain, Girls with Glasses, and Wheel. His chapbook, A Whole Armada of Loss, is available through Plan B Press. Blaine does readings and runs workshops, and occasionally teaches poetry, in Philadelphia and the burbs. For a long time, music has been an influence on his writing, so he is thrilled to be reviewing music for The Farsighted.